But....what are they you say? Do you give up? Well, they're mug carriers! When we go to our quilt guild meetings we have to take along our own mug for our coffee or tea, so I thought having a carrier would help protect them, AND look rather cute too. One is for me (the one on the right) and the other is a gift for my friend who just joined the guild. Pattern was taken from HERE with a few modifications of my own. I felt that the bag wasn't quite deep (tall?) enough to properly enclose my mug so I added 2" to the pattern and instead of the fabric loop that goes over the button I chose to use a 4" piece of elastic. I also modified the amount of elastic suggested for the sides and instead of using 4" for each side I used 3"...makes it a little more secure I felt. - THIS looks like a fun way to use up tiny scraps from your sewing room! Also, while you're there, be sure to click on her 'tutorials' tab at the top....some really cute things! - Check out the crochet pattern found HERE - it has pretty much any size you could ever want. - THIS is a cute gift idea. Of course it calls for using *their* products, but I'm sure you can use what you have! Anonymous, again...."The older you get, the more you realize you have no desire for drama, conflict and any kind of intensity. You just want a cozy home, a nice book and a person who knows how you drink your coffee"
First of all, I want to thank everyone who took part in the copyright discussion I raised in my last post (scroll down if you missed it and/or want to read the thoughtful comments I received). Feel free to continue to add to the discussion too! Now, at the suggestion from one of the comments (thank you Christine!) I am once more throwing it out to you for your input. If you happen across any abandoned barns, churches or houses (wood construction preferred) and would be willing to take photos and send them to me I would be delighted. I am searching for inspiration for further creations and it appears I have pretty much exhausted the possibilities in this area. If you do share photos with me I hope you would be okay with my using them in my work. Thank you in advance!!!! This is something a little different that I made over the past few days. Thanks to Mary Ann for sharing her pattern with me! - Have a look at the work done by THIS artist! And THIS one! 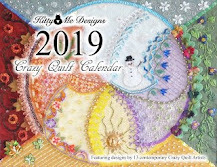 - if you would like to make a Christmas quilt (or use the blocks to make other projects) have a look at the wealth of block patterns HERE, HERE, and also HERE! The end of November they will be announcing another 25 block series for 2018 so you might want to bookmark it and check back. - For those of you who are knitters (or crocheters) maybe one of THESE would be just what you need? - There's a tutorial HERE for making slippers using recycled sweaters. I think I would add a non-slip coating on the bottom though. - I've noticed a lot of things being made using Buffalo Check materials lately, and have come across a nice crocheted blanket pattern HERE. Another anonymous quote..."If someone throws a stone at you, throw a flower at them, but remember to throw the flower pot with it"
I'm looking for input and would like to throw this over to you for your opinions on the subject. Most of us know there is always a debate over copyright laws and I'm wondering what your feeling is about using images that are found on the internet (particularly on Pinterest) as a basis for creating art - specifically things like abandoned churches and houses (barns, too, of course). I live in an area where there are very few old falling-down churches because most have been converted to homes and thus don't have the look I like for my work. I would love to branch out into doing other old buildings beyond the barns I have managed to source locally. There are tons of images on the internet that are perfect but simply cannot be traced back to the person that originated them in order to seek permission to use them in my art. I know there is one school of thought that says that provided you use an image for 'personal use only' it's okay, but how does that apply if you make only one - but plan to sell it? What say you? - HERE is a fun idea for your Christmas decor. I think it would be pretty with some little twinkly lights inside. - If you're planning to give money as gift this year, perhaps some of THESE ideas for a fun presentation might be what you're searching for. - THIS is a really easy knitted cowl pattern that looks really pretty. - There's a rather cute Halloween wallhanging pattern HERE. - And if you go HERE you'll find a tutorial for an easy runner that would work up quickly for gifts at Christmas (or any time of the year). Today I don't have a quote for you, but I do have a definition..."Stashcovery" - That moment when you rediscover an item in your craft stash that you forgot you had"
Today I'm afraid I don't have any photos of progress on anything creative. The barn quilt is *almost* done so I'll wait to show you that. Instead, how about the view from our balcony? This was taken yesterday - dark clouds and a little bit of sun shining on the trees beside the river. Looks rather chilly (speaking of which, a few minutes ago we were getting a rain/snow mix....yuck, yuck, AND yuck!!). Just got back from taking our car in for some repairs. Apparently the 'differential is leaking' and something else is seized up in the back end. Makes me wonder if she's menopausal? 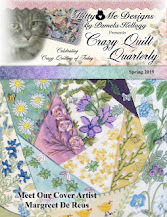 - There's a really cool (and free) block of the month quilt pattern beginning HERE. Gorgeous colors! - If you are creating hand knitted items for Christmas gifts, perhaps adding one of THESE free printable labels might be a nice touch. She also has done one for crocheted items HERE. - The original of THIS was made in a candy corn colourway but it would look wonderful in Christmas colours as well. - Some fun ideas to fill clear glass Christmas ornaments can be found HERE. - THIS ornament made me smile and maybe you will too. Your quote is another from an anonymous source: "A lot of walking away will do your life good. Walk away from arguments that lead you to anger and nowhere. Walk away from people who deliberately put you down. Walk away from the practice of pleasing people who choose to never see your worth. Walk away from any thought that undermines your peace of mind. Walk away from judgmental people, they do not know the struggle you are facing and what you have been through. Walk away from your mistakes and fears, they do not determine your fate. The more you walk away from things that poison your soul, the healthier your life will be. The past few days have led to precious little stitching time (or at least not as much as I'd hoped for), but there has been some progress on the latest barn. It's been quilted and I'm in the process of adding some flower-y 'stuff' in the foreground, which will be a combination of embroidery and free motion stitching with the machine. I think you can click on it to embiggen it a little if you so desire. I had hoped to have it finished to tote along this afternoon to the local quilt guild meeting for bring & brag but obviously I didn't make my deadline. Oh well, there's always next month (unless of course it gets sold in the meantime!). - HERE is a tutorial for making really pretty pincushions from canning jar lids. - If you're searching for inspiration for quilt labels, perhaps THESE might be useful. - There's a great tutorial HERE for making pajama pants for the whole family. The quote today is from Mother Teresa..."I alone cannot change the world, but I can cast a stone across the waters to create many ripples"
There's been some more progress on the latest barn, inspired by looking outside and seeing the leaves turning. - If you just *happen* to have an over-abundance of wooden ironing boards (and we all do, don't we? ), perhaps THIS might just be what you want to do with them!! - Have a look at the work by THIS artist! - THIS is a nice table runner (or wall hanging) pattern you could make up for your Christmas decor. - There's a nice pattern HERE for a roll-up makeup brush organizer (another Christmas gift idea perhaps?). This is mental health month, so I honor that with today's quote..."I lied and said I was busy. I was busy, but not in a way most people understand. I was busy taking deeper breaths. I was busy silencing irrational thoughts. I was busy calming a racing heart. I was busy telling myself I am okay. Sometimes this is my busy, and I will not apologize for it"
I just finished knitting this pair of socks. I know....who knew? sock from now on. The heel and toe is really simple to do. Pattern is THIS one and I used Paton's Kroy sock yarn. One more thing for the Christmas box! - There are a number of ideas HERE to use your orphan quilt blocks. - For those of you who like hexxies, perhaps making one (or several!) of THESE might be fun. - There's a tutorial HERE for a really adorable owl pillow! - If you are searching for a nice knitted hat pattern, perhaps THIS one might be just what you're searching for. - Lots of links HERE for some really cute baby bootees. - THIS is a quick-make that only uses a yard of fabric. Your quote..."To protect your energy....It's okay to cancel a commitment. It's okay to not answer a call. It's okay to change your mind. It's okay to want to be alone. It's okay to take a day off. It's okay to do nothing. It's okay to speak up. 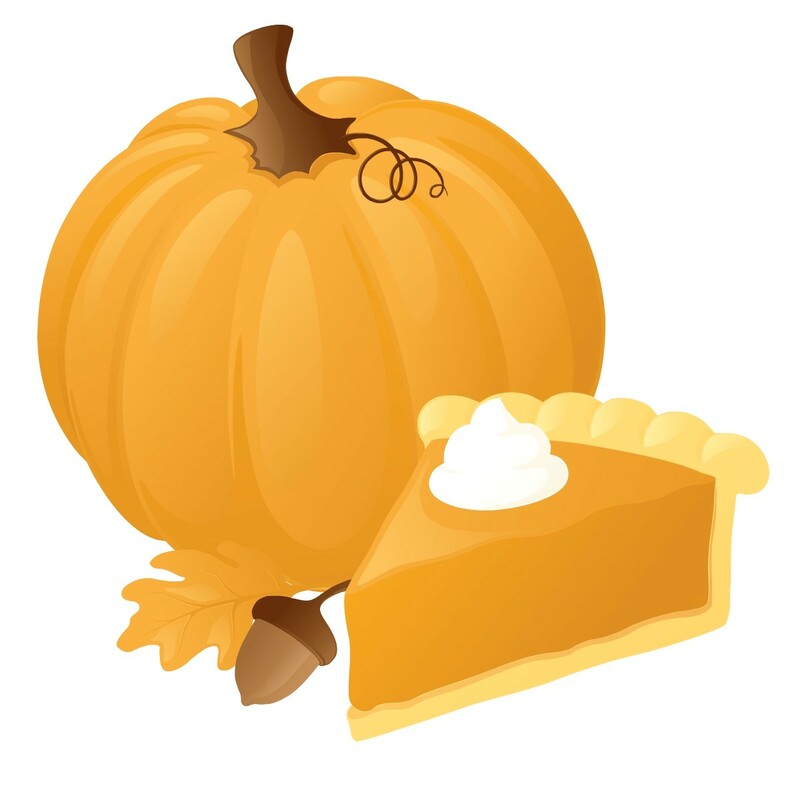 It's okay to let go"
First, I would like to wish my Canadian readers a very happy Thanksgiving. Enjoy your celebration and be safe on the roads. I was honored (and beyond excited!!) to be asked to write an article for the 'Online Quilt Magazine' about my barns and their creation. The issue is out now and if you'd like you can see the free version by going to THIS link. You can then register to receive the free version of the magazine (scroll down - it's on the left) or you may pay $10 to receive the premium subscription (on the right). Either way you can see my article. Thank you Jody for all you do to provide the wonderful resources through this magazine. - Have a peek at the fun creations by THIS artist! - I like THIS - depending on the colors and flowers you use it could be made for any season or occasion. - If you're a cat lover, perhaps your furry friend might love one of THESE for Christmas! - THIS is for the crocheters - a lovely warm shrug pattern perfect for the cold winter months. - And knitters might find THIS article and video useful if you're planning to knit a blanket. Your quote for today..."Thanksgiving, to be truly thanksgiving, is first thanks, then giving"
The eagle-eyed among you might also notice that I changed the tree line on the left somewhat. - Go HERE to see Part 1 of a four-part series to create a Maple Cabin quilt, which is perfect for fall. Links are there for parts 2 - 4 as well. - And if you go HERE you will find part one - of five - for an amazing tutorial to make yourself (or use as a gift!) a really beautiful hussif. So pretty - and so useful! - Have a peek at the beautiful creations by THIS artist. - I'm not a paper artist but for those of you who are, perhaps you might find THIS an interesting technique to use on paper ornaments. - For those of you (notice I didn't use the word 'us'...ahem) that have a collection of buttons, perhaps making some of THESE Christmas ornaments would be a great plan. Your quote..."A lie doesn't become truth, wrong doesn't become right, and evil doesn't become good just because it's accepted by the majority"
- Have a look at the amazing fibre art pieces by THIS artist. - Awhile ago I did a link to a list of Canadian online fabric shops , patterns, etc. and I see that it has recently been updated. Perhaps you might like to check it out HERE. - There's an interesting tutorial HERE for making applique animals for including on your needlework projects. - Mary Corbet has an excellent article HERE about how to unravel pull skeins of embroidery flosses without ending up with a snarled mess. - I like THIS idea (link leads to the PDF file) - print one of these at the beginning of the year (or anytime you want to start...how about now?) and keep track of all the books you read in a year. A fun concept! - Some interesting ideas for holding your yarn ball in place while you're working can be found HERE. Your quote..."A lot of walking away will do your life good. Walk away from arguments that lead you to anger and nowhere. Walk away from people who deliberately put you down. Walk away from the practice of pleasing people who choose to never see your worth. Walk away from any thought that undermines your peace of mind. Walk away from judgmental people, they do not know the struggle you are facing and what you have been through. Walk away from your mistakes and fears, they do not determine your fate. The more you walk away from things that poison your soul, the healthier your life will be. The pattern is found HERE. I have always used Paton's Classic Wool yarn which felts perfectly. Well, there IS now a word of warning about this yarn as I found to my detriment. When I purchased it I did check the label for the fibre content for one pair, just to make sure I was buying the correct yarn. I did not, however, verify the content for the other pair and discovered, once I started knitting, that it didn't feel right. Checked the label and was horrified to discover that they have snuck some acrylic into the content which means it won't felt properly. I suspect it might felt somewhat but not to the degree that it should. I emailed the company to complain but haven't heard anything from them. Now I'm stuck with four balls of enough-feltable-to-make-it-useless yarn! So if you're making anything that's meant to be felted, be sure to check the label carefully!! UPDATED TO ADD: The question arose as to what I put on the soles of my slippers. I use a thick coat of 'Shoe Goo' (see HERE for a link) although I find it at the local hardware store. It stinks to high heaven when it's curing so I put the slippers outside to dry. It seems to last on the soles and makes them non-slip. - There are tons of different printable graphs and designs HERE - all free! - There is a really cute BOM going on HERE. Unfortunately I came into it a tad late, but there are links where you can get the previous patterns. However, the one for this month is really cute on its own! - THIS pattern is labeled as being a camera case but I can see other uses for it too. - HERE is a great project to use up fabric scraps (and would make nice gifts too!). 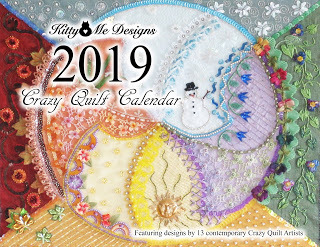 - If you're searching for gift ideas for Christmas (or to treat yourself), perhaps you might consider a beautiful crazy quilt calendar, just released today and available HERE. - THIS is strictly for inspiration, but I think it's pretty and would be fairly easy to duplicate. - The San Francisco School of Needlework and Design currently has their 'Burlesque Challenge' online show available for us to enjoy and you can see that HERE. (be patient, it takes a few seconds to load). Their next challenge is 'Make Do and Mend' and you can get more information HERE. Remember that you don't have to send in your actual project! Your quote for today..."Go inside and listen to your body, because your body will never lie to you. Your mind will play tricks, but the way you feel in your heart, in your guts, is the truth"